It’s not hard to take a good picture of Tasmania’s east coast. This is a place of extraordinary natural beauty and postcard-perfect photo opportunities—which is why Facebook and Instagram feeds are always filled with stunning images, captured by visitors to this beautiful part of the world. Every one of these photos tells its own tale of the east coast. But sometimes, we stumble upon a story that is truly special. A few weeks ago, one particular Instagram post really captured our imagination. We were so intrigued by the images and comments that Elise Cook shared that we reached out to her to find out the full story behind her post. And we weren’t disappointed. 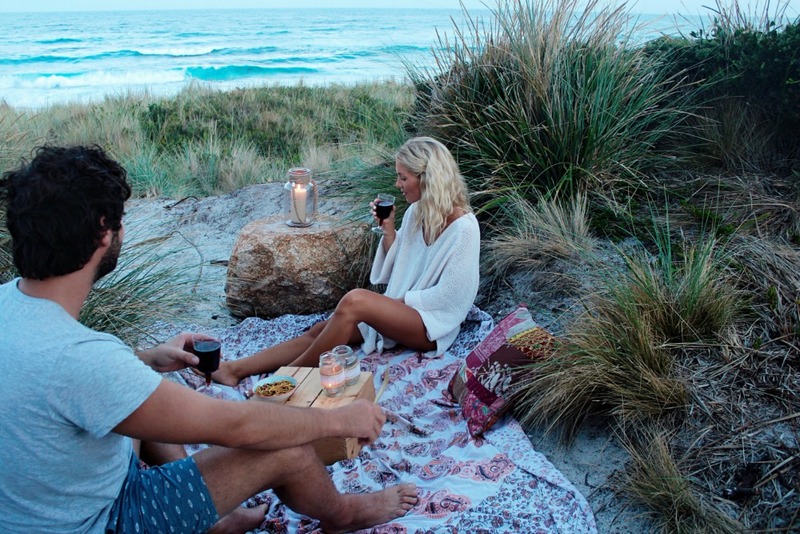 Elise Cook and her husband Domenic are a young, adventure-loving couple from South Australia. Elise and Dom experienced the Great Eastern Drive for the first time this summer when Dom decided to surprise Elise with a trip to Tasmania for their third wedding anniversary. Elise didn’t know it at the time, but that moment was the beginning of a month-long odyssey around Tasmania, beginning with an unforgettable road trip along the east coast that would become her ‘favourite holiday, ever’. 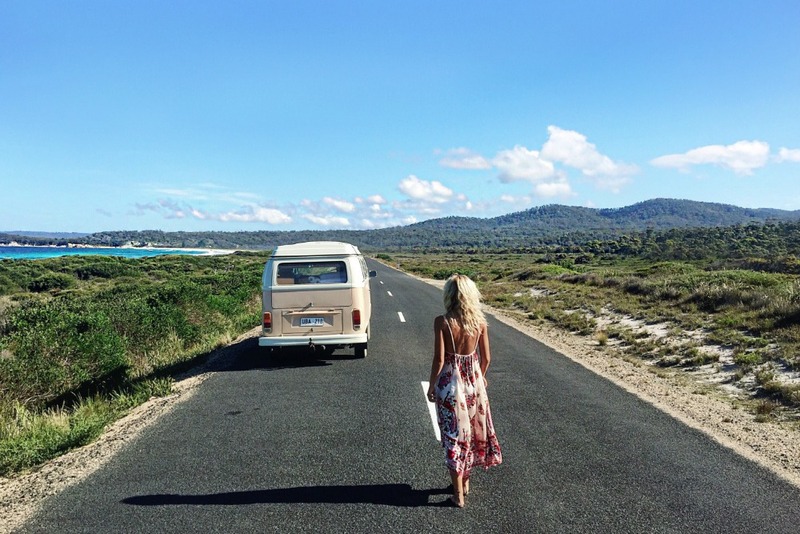 One of the things we loved about Dom and Elise’s images was the fantastic vintage Kombi van (a 1972 Westfalia) that they were touring around in. 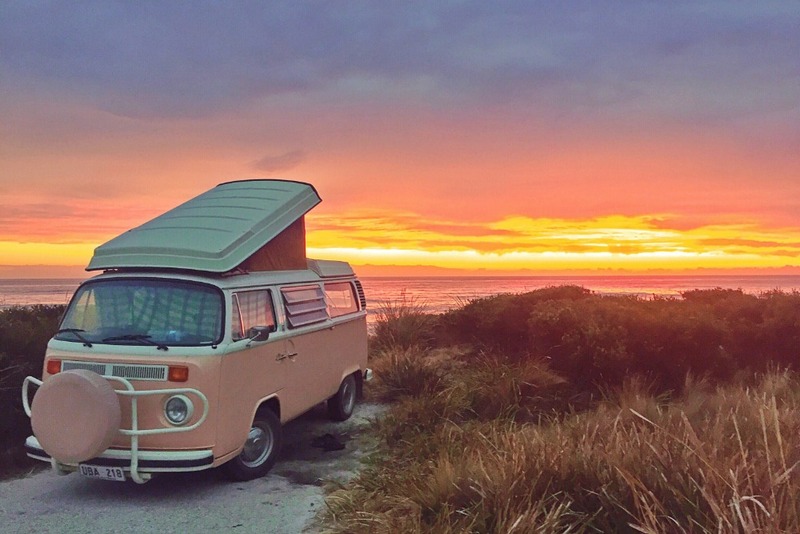 Elise told us that she’d always wanted a Kombi, and found this one online last year. 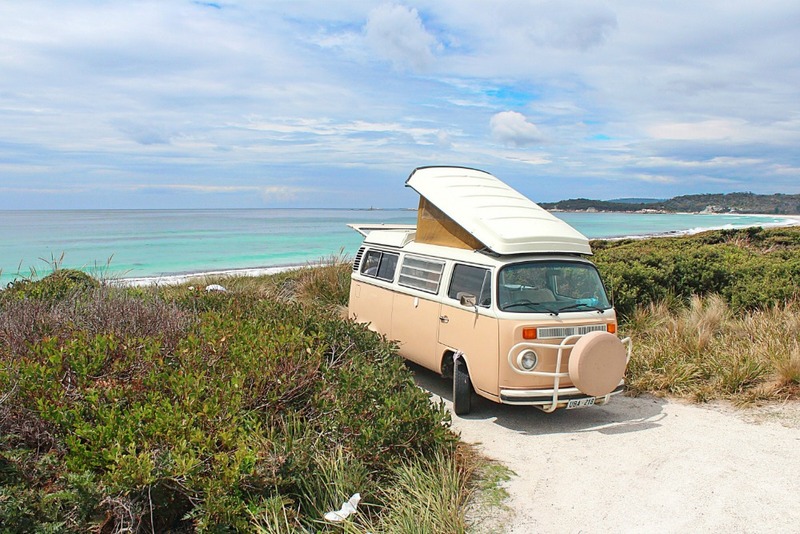 The gentleman who owned the Kombi told Elise and Dom how he and his wife had bought it in Germany 1972, travelled throughout Europe and South Africa with it and then brought it to Australia when they moved here 25 years ago. They had since raised their family in Australia, taking the van all over the country, and camping with their kids as they grew up. But of course, that wasn’t the end of it. Some time later, the man contacted Elise, having refused several offers for the van from collectors. ‘He asked us to come by and see him. He said that even though he’d had two other offers for the van, at his asking price, the idea of it going to a young couple beginning their lives together—just like he and his wife when they bought it—meant so much more to him. He sat us down and said that he would accept what we could afford (which was a lot less) on ONE condition—that we have adventures in it. And that one day, when we have our own kids, we’d take them on adventures in the van. With tears all around the table, we happily made that promise to him. And adventures they did have. The story of Elise and Dom’s east coast journey is a wonderful, real life account of the freedom that the Great Eastern Drive offers. Freedom to wander, to disconnect from everyday life and reconnect with what’s really important; the freedom to explore, discover and just be—in one of the most beautiful coastal destinations in the world. 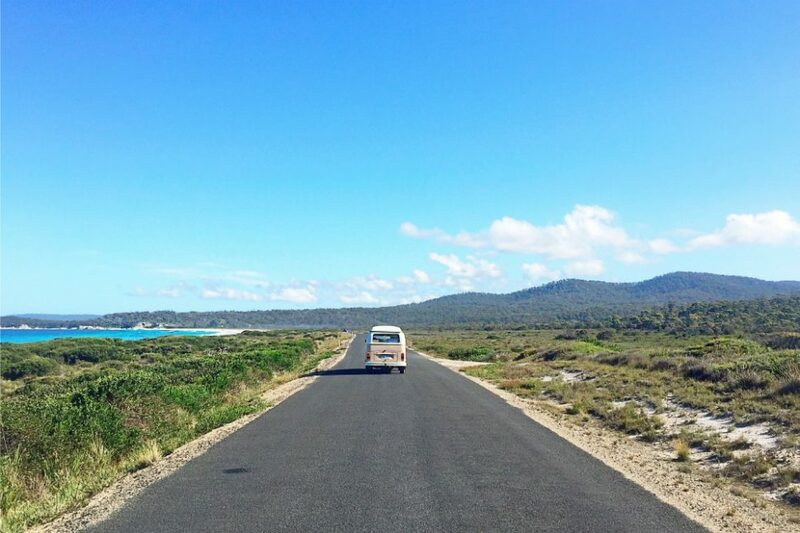 Tasmania’s east coast gave Elise and Dom their first big adventure in their new Kombi. It gave them wide-open spaces to explore, the feeling of having an entire, pristine beach all to themselves, the pleasure of waking up each morning and stepping straight onto the beach and the sheer joy of swimming in warm, crystal-clear water on all those long, balmy summer days that they spent exploring the Great Eastern Drive. 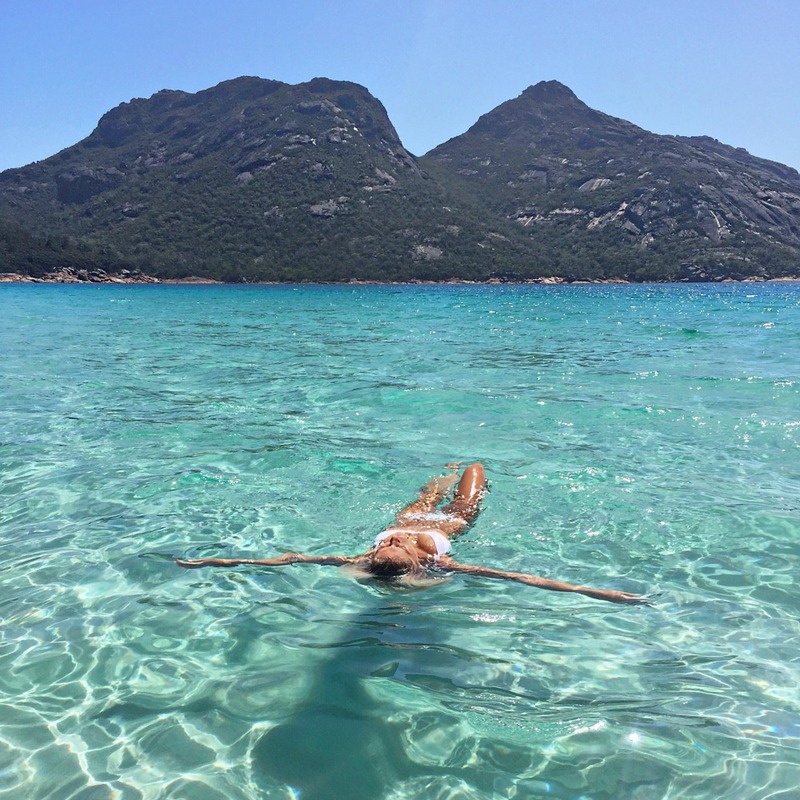 Over the coming weeks, we’ll be taking you to some of the places Elise and Dom discovered on their Great Eastern Drive journey—from the sparkling Bay of Fires, to the coastal beauty of Freycinet National Park and secret beach nooks that are dotted all along Tasmania’s east coast. You’ll be able to share in Elise and Dom’s incredible experience, and discover how you can create your own coastal road trip of a lifetime. If you’re really going to enjoy every one of the Great Eastern Drive’s 176 kilometres of gently curving road, you need the right car for the job. 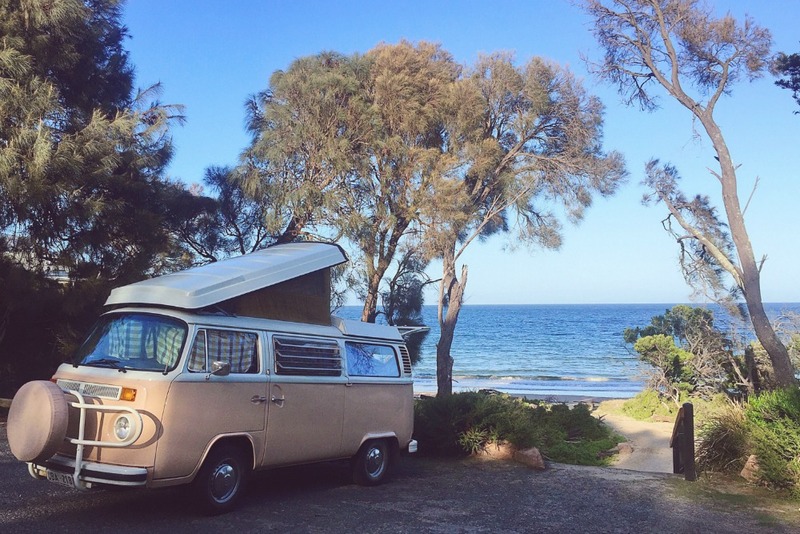 Whether it’s a sleek convertible, a van packed with surfboards and excited children or a vintage classic like Elise and Dom’s Kombi, choose the car that you will love to cruise the road in. You can bring your own car, campervan or motorbike to Tasmania aboard the Spirit of Tasmania, or hire one from rental companies in Hobart or Launceston before you start your journey. Find out more about travelling to Tasmania’s east coast here. 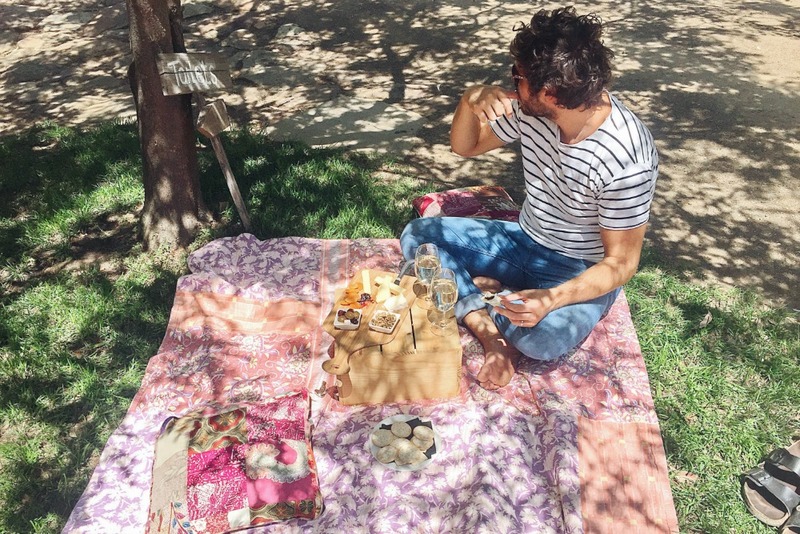 Okay, so not all dream road trips can be surprise wedding anniversary presents from the love of your life—but the right travelling companions are as important as where you go, and what you see and do. All along the Great Eastern Drive, you’ll find places to visit, things to do, flavours to savour and places to stay that are perfect for you, whether you’re a solo explorer, travelling with someone special, or on holiday with your best friends or extended family. So get your co-adventurers together, and start planning now. 3. Have the time of your life. Now, this one is not difficult. If there is any place where you can have the time of your life, Tasmania’s east coast is it. Over the coming weeks we’ll introduce you to some of the places and experiences on the Great Eastern Drive that made Elise and Dom’s trip their favourite holiday together—from self-guided walks in the region’s national parks, to the flavours of premium regional food and wine and the best beaches you could ever hope to find. And we’ll show you some hidden gems—special places a little off the beaten track that will just take your breath away. But, if you just can’t wait, why not start your own explorations by visiting our Things to Do page. Good food is essential to any holiday, it’s available in abundance on Tasmania’s east coast. One of the best things about a road trip is that it gives you the chance to discover local specialties as you explore. You’ll find fresh produce, local seafood and exceptional wine in restaurants and cafes, wineries, farm gates and markets throughout the east coast region. Take a look at our Food and Wine blog for more mouth-watering ideas. The east coast has some of the most jaw-dropping scenery you’ll find anywhere, (which is why it’s such a favourite with Instagrammers). There are countless places here where the road will open up before you and reveal the east coast in all its glory, so make sure you factor in time to stop and soak it all in. Free WIFI is available in eight locations along the coast, so make sure you share your favourite Great Eastern Drive moments as soon as you experience them. Remember the hashtags #eastcoasttasmania and #greateasterndrive for your social media posts too. To begin planning your own east coast adventure, start exploring here. 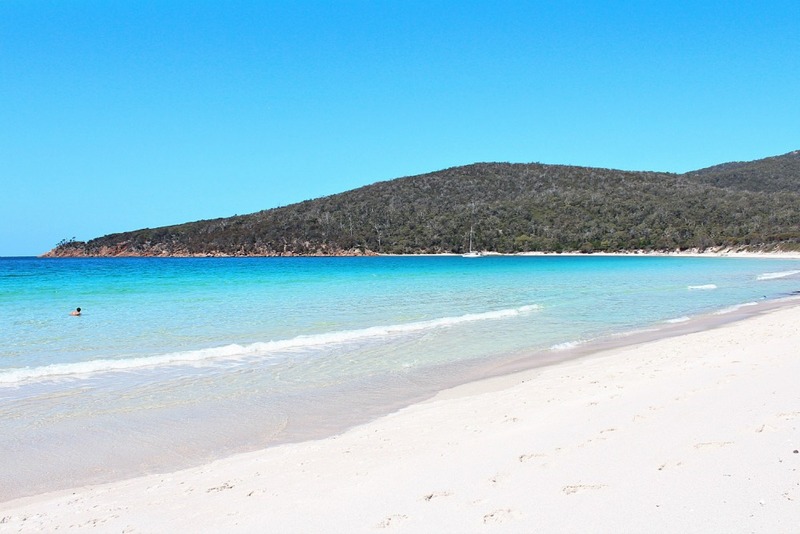 Stay tuned for our next installment, when Elise and Dom take us to the incredible Bay of Fires. 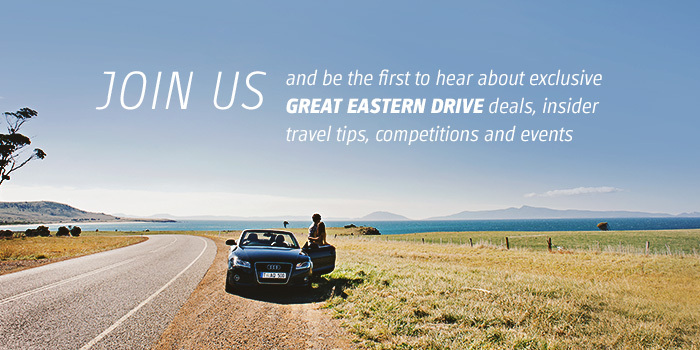 In the meantime, to find out more about the Great Eastern Drive, and start planning your own east coast adventure, start exploring here. Experience one of Australia’s greatest road trips on the Great Eastern Drive. This is a true journey of discovery that will lead you to the best-loved places and experiences of Tasmania’s east coast region. Here, every turn unveils a new view to take your breath away, and a new invitation to stop and explore. In this road trip itinerary we show you what's on offer from south to north, or if you prefer from north to south. Just choose and shape an adventure to suit you. On the Great Eastern Drive, unforgettable outdoor experiences are as easy as getting in your car and just wandering, until adventure finds you.